Improving safety and employee performance should be high on the to-do list for almost every company in America and with good reason. Unfortunately, it’s much easier said than done. Companies struggle every day to improve in both of these areas. Even industry giants like DuPont have safety issues – they were recently cited by OSHA for a number of safety violations. If you run a company, large or small, and want to improve safety and employee performance, where do you start? A leading manufacturer recently decided to make improving the quality of its workforce and reducing safety incidents a major initiative. Not that this company had any major safety incidents, but they always strive to improve. Management decided to tackle this situation from all angles, and they started with the hiring process. Starting with the hiring process makes sense when you really think about it. If you’re able to hire employees who are already likely to be safer and more productive, you’ll spend less time and money training them. This company (I’ll refer to them as Company A) decided that pre-employment assessments would be their best bet to identify the types of employees they wanted working for them. Employee assessments, after all, can be designed to identify these traits in prospective employees. Company A didn’t just want one or two assessments, though; they wanted a whole revamped hiring process. After researching and talking with a number of assessment providers, they partnered with Select International for this project. Our goal was to identify the key success factors for its manufacturing and distribution positions, and then build a thorough and comprehensive selection process to identify the best candidates. Gathering archival data – Collect any existing information where we can learn about what KSAs are important for success in the role. Facility tour/job observation – This allows job analysts to observe what’s happening on the job – the tasks being performed as part of the job, the environment, the extent to which they interact with others, etc. Focus groups with Job Content Experts (JCEs) – In this step of the process an analyst would meet with those who know the job and the responsibilities of the position very well. This could include current, high-performing employees and those who supervise the position. Surveys – It’s not always practical to interview every incumbent in the role. In order to get the input of the broader population of employees in the position, though, it’s good to have additional incumbents complete a survey where they provide ratings of the importance of the competencies identified as important for success in the previous parts of the job analysis. Meetings with stakeholders – This is an important part of the job analysis. During these meetings, analysts gain insight into these valuable members’ perspectives with respect to the target position and organization in general. After conducting a thorough job analysis, and determining the right competencies for success in Company A’s target positions, both companies worked to determine the right tools and assessments that would help them identify the right employees to hire. Company A decided on four tools that we agreed would give them the best chance to reduce safety incidents and increase performance. 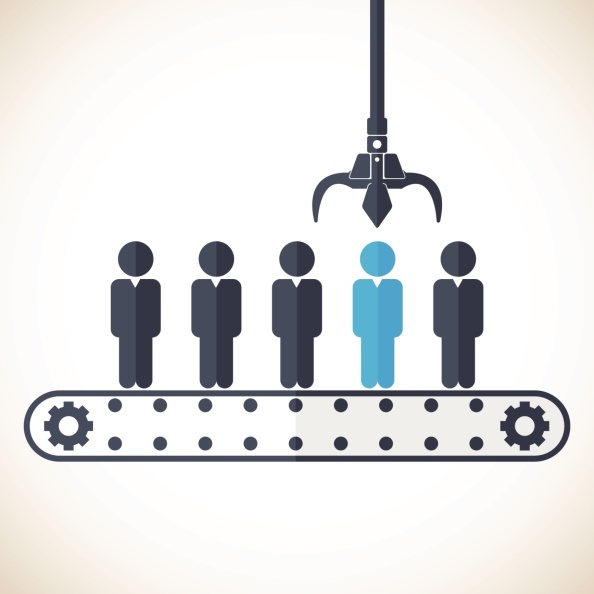 Each of these four tools would be administered at a different part of the hiring process, further narrowing down the candidate pool, until only the best candidates remained. What were the right tools to use? The first tool we decided on was EZ App. This tool is designed to capture traditional application information and previous work experience, and is typically implemented as the very first step in the hiring process. Those who passed the application were immediately directed to SecureFit - an online screening assessment which measures some underlying risk factors that are valuable in predicting turnover and safety incidents. The third step in the process, for candidates who passed the first two, was Select Assessment for Manufacturing. This tool is an in-depth, competency-based assessment that has been widely proven to predict work performance in manufacturing settings. The final step implemented was a physical production exercise. Many of Company A’s workers were leaving the job due to the physical requirements, so a step that actually simulated these requirements would be hugely beneficial. This exercise gives candidates a realistic, simulated experience of the job and assesses their ability to perform the job duties from a physical and work pace perspective. To determine the effectiveness of these four tools, Company A asked us to conduct a concurrent validation study, which is an effective way to establish the accuracy of an assessment. In a concurrent validation study, we administer the assessment to people who are presently on the job. At the same time (or concurrently), job performance information (supervisor ratings, performance metrics, etc.) on those incumbents is collected. Then we take that data and run the analyses to investigate the relationship between the incumbents’ test scores and job performance. When looking at validation study results, there should be a positive correlation between job performance and the test-taker’s score on the assessment. 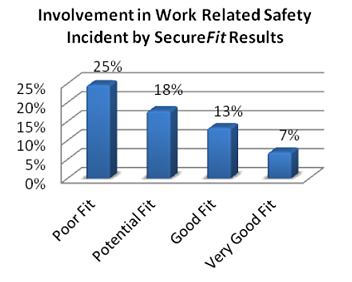 SecureFit results were compared to job performance and safety incidents with great results. 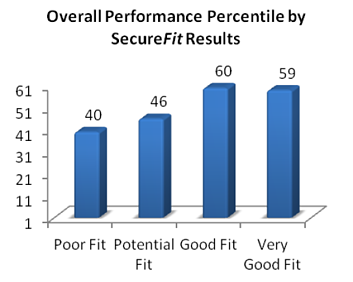 SecureFit places individuals into four “fit” categories based on their assessment scores: Very Good Fit, Good Fit, Potential Fit, and Poor Fit. 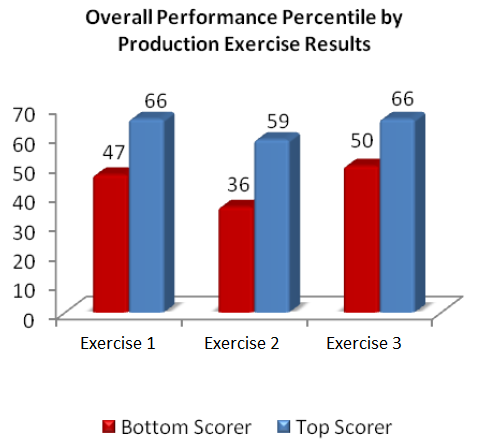 Employees whose scores placed them in the Very Good Fit and Good Fit categories were higher performers – above average performers (~60th percentile). Poor Fit and Potential Fit employees were rated as below average performers (below 50th percentile). These results show that when used for hiring, Company A will greatly increase its chances of hiring strong performers by screening out Poor and Potential Fit candidates. The safety history of the employees involved in the validation study was also examined. Employees who were categorized as Poor Fit by the assessment were 3.5 times more likely than those in the Very Good Fit category to have been involved in a safety incident. 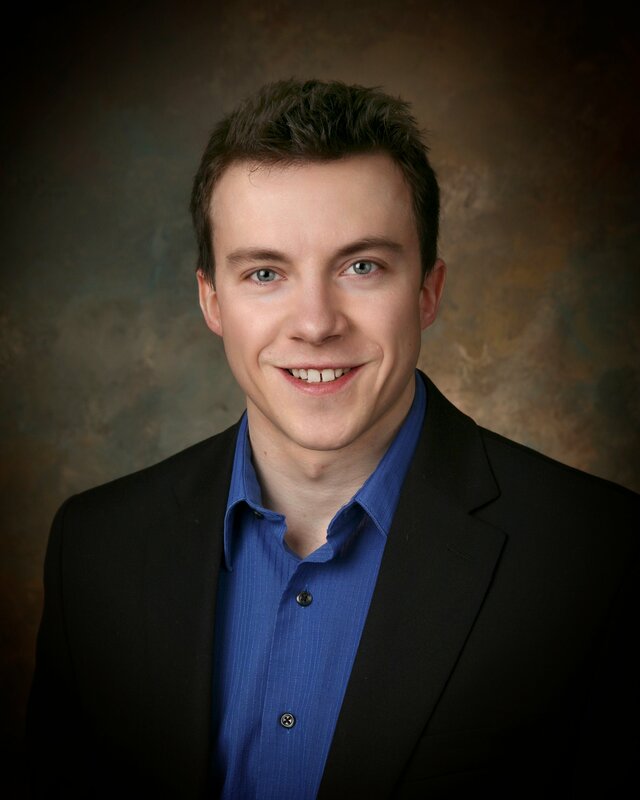 SAM provides a measurement of the key competencies related to performance in manufacturing and distribution positions. This organization used SAM to assess individuals in operator, warehouse and maintenance positions. Individuals who scored high on SAM were clearly above average overall performers and those who scored low were clearly below average. 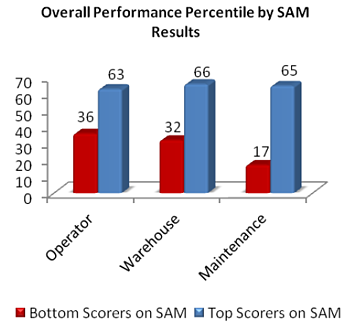 While a strong relationship existed for all positions, the maintenance group, in particular, showed that employees who scored in the bottom 10% on SAM were in the 17th percentile on performance ratings. During the job analysis, we observed employees performing the target positions. We then identified key activities and job tasks that are integral to effective job performance. We developed a production exercise comprised of three different tasks important for the job. The results from the validation study showed that top performers on the production simulation tasks were consistently rated higher in performance. So what does all of this mean? I think the results speak for themselves. Implementing an employee assessment may seem like a big undertaking at first, but it’s well worth it when you look at the results that can be achieved from using one or more assessments. And if you’re thinking about implementing an assessment, but haven’t yet, don’t forget to ask your potential assessment vendors these six questions.